Since last week’s #1lineWed theme was *OLD*, I figured this week’s theme should be **YOUNG**. You know, for reasons! 😉 Anyway, it also gave me an idea of how to start the new WIP. At the moment, the working title is MONTANA MOON. This is a first draft so please ignore anything but content. And if it’s boring, PLEASE tell me! The phone rang and rang and rang. Tate thrust an arm dripping with soap and hot water out of the shower to grab the damn thing. He checked the caller ID before turning it off. The debrief could wait until morning. He dropped the phone back onto the counter and retreated under the scalding water pouring from the shower head. He’d been back from the retrieval Hank Patterson, his occasional employer at Brotherhood Protectors, sent him on all of 30 minutes. Two spoiled rich kids decided to hit the road in Mommy’s Mercedes. He caught the brats on the other side of the Mexican border, minus the Mercedes and in the hands of a cartel far more interested in human trafficking than was good for the two girls. Despite saving their lives and other things, they’d bitched at him all the way back to a multi-million dollar log mansion in Aspen, where the father of the car thief handed over a check with lots of zeros. What the hell was wrong with young people today? Tate snorted and pictured himself in a rocking chair on his front porch and shaking a cane at those young whippersnappers. Laughing now, he leaned his hands on the granite tile lining his walk-in shower, head bent so the steaming liquid sluiced across his neck and shoulders. He was beat, going on close to 72 hours with no sleep. Back in the day when he’d been running special ops with the SEAL teams, that had been a walk in the park. Even his wolf half was tired. The critter wanted a rare steak, the man a six-pack of beer, and both about 24 hours of curling up in front of the fire and snoozing. Sounded damn fine idea. Tate “Shooter” McCord was a Wolf. He carried the lupi versi pellis gene on his Y chromosome and that weird little DNA anomaly gave him the ability to shift from man to wolf and back again. He never got sick, healed faster than normal when injured—and considering he’d been a SEAL for almost 20 years, he’d needed that special kick more than once. Tonight, though, he was feeling his age—emotionally if not truly physically. He’d come back to the Crazy Mountains in Montana to lick his wounds after that last mission in Bumfuck, Afghanistan. The operation had been a Charlie Foxtrot from the git-go. They’d only lost one man but the entire unit had been shot up, with half of the team sustaining career-ending injuries. He’d joined them, especially after receiving the Navy Cross, the Silver Star, and the Purple Heart. All three medals made him feel like a fraud. Getting his teammates out wasn’t heroic. It was part of the job. So he’d retired and returned to a place that had been home once upon a time. The water turned tepid and he turned off the faucet. After drying off, he pulled on a pair of jean shorts and wandered into the kitchen. The steak he picked up on the way home kissed the frying pan on both sides and then he was settled in front of the fire in his living room with the big screen TV showing some spring training baseball game. Ten minutes later, with his stomach full and headache finally receding, he closed his eyes and dropped into combat sleep. 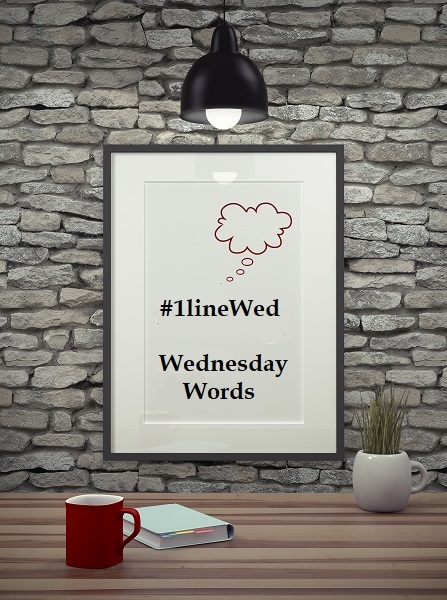 This entry was posted in Writing Life and tagged #1lineWed, Brotherhood Protectors, inspiration, Kindle Worlds, quotes, snippet, Wednesday Words, WIPs, writing. Bookmark the permalink. “Raised by them?” A glimmer grew in his eyes, making them decades younger. DUDE! I love this snippet! I can’t wait for this book. How soon do you get it back from AWE? Thanks for the sneak peak, I love it. I enjoy all of your books and especially like the moonstruck books.